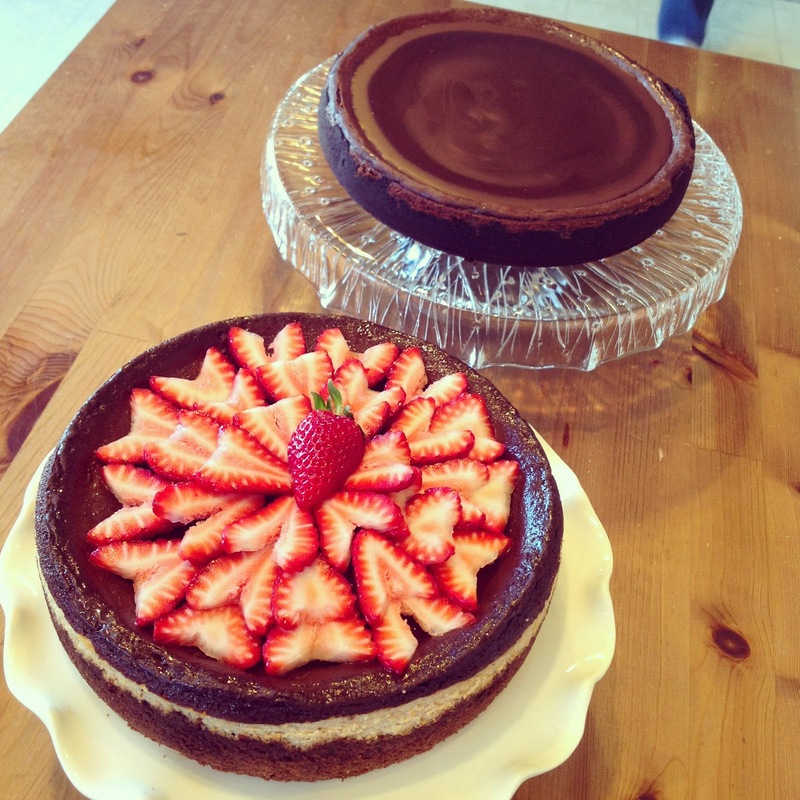 I turned 32 on Wednesday and couldn't decide what I wanted more, strawberry cheesecake or plain chocolate cheesecake... So I made both! Happy birthday to me!